One of the underlying themes in E.B. Sledge’s “With the Old Breed,” a gripping and graphic memoir of the Pacific Theater during World War II, is the implication that through traumatic experience one who is physically young could be made psychically old. Jim Dine’s “Looking at the Present” inaugurates the breathtakingly converted warehouse space of Richard Gray Gallery with an inversion of this premise. Here we encounter an artist that is unquestionably old—Dine is an octogenarian—but the experience of age has returned to him the courage of youth. There’s no atlerstill here. 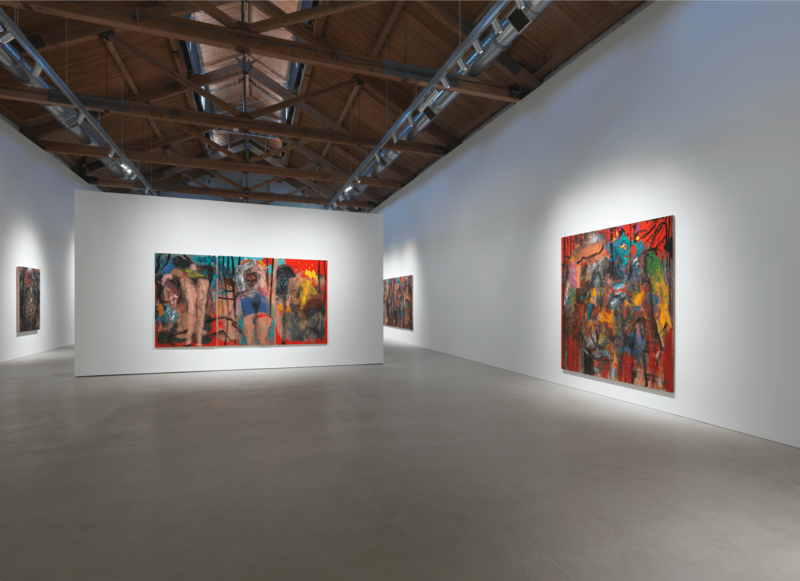 Dine’s formally and materially wide-ranging oeuvre precludes a de Kooning-like insistence on paring back the visual essentials of a life’s work. But Dine is grappling with age nonetheless. While he forgoes his signature use of hearts, bathrobes or hand tools, the artist is resoundingly present in these nine large-scale works. Animating the blistering scarified surfaces and full-throated reds are the contours of Dine himself: his head and his skull. Dine clearly revels in the luscious materiality of his medium in “A Constant Reminder of Age and Gender.” Woven from a series of self-portraits that alternately cling to the sand-encrusted surface and then recede into a vaporous space, the work’s all-over composition erupts with risky moments of painterly slather. In the hands of a less experienced painter these touches would easily veer into bad taste, but Dine’s youthful enthusiasm is tempered by pregnant evocations of death. Whether in the guise of the omnipresent skull or the sanguineous hues that abound in Gray’s basilica-like space, Dine implies life’s transience throughout. 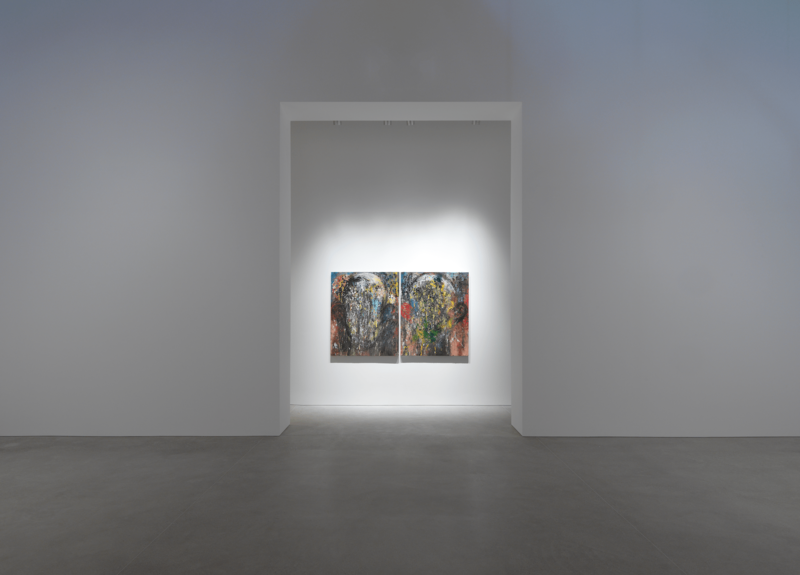 Jim Dine shows through June 10 at Gray Warehouse, 2044 West Carroll.